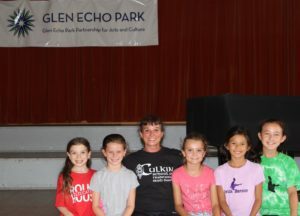 The Culkin School has teamed up with Glen Echo to offer an enriched series of summer camps for your Irish Dancer! Camps are held at Glen Echo Park, an historic landmark, geared to the arts! We are excited to be part of the summer camp program at Glen Echo! The Culkin School offers camps for experienced Culkin dancers and for new-time beginner dancers who’d like to give Irish dancing a try! This year it’s easier for campers to choose the schedule that suits them! Register for both a morning and an afternoon session and join The Culkin School “lunch bunch” in the Praline Café and experience a full-day camp experience! The Culkin School has something for everyone! Click here for location addresses and directions. In early February, these links will be activated to take you to the Glen Echo Park website, where you’ll follow the prompts for registration and make payments. This program is for Culkin Dancers in levels 1-3 who want to stay dancing and work on new material. Time will be dedicated to both soft and hard shoe work during theses classes (for those who have hard shoes). Dancers can take one camp or both. To extend the day, campers are welcome at a supervised lunch bunch open to eligible campers who are enrolled in Culkin camps both in the morning and afternoon each day. Click here to register! This program is for Culkin dancers in levels 4-7. Time will be dedicated to both Hard & Soft Shoe work during these classes. Dancers can take one or both camps. Click here to register! This is a one-week, introductory class; through a series of figure (group) dances, students will learn the basics of Irish dance and music – no experience necessary! If you are currently enrolled as a Level 1 dancer, please check with your instructor in regards to summer camp placements. 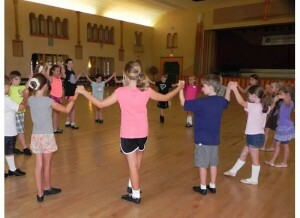 If you are interested in our Beginning Irish Dance: Footworks and Figures, click here to register! For current Culkin School dancers who would like to dance Figures with the Culkin School. Open to all Culkin dancers. Dancers must have mastered skips, over 2-3s and sidestep movements. Offered three times, take as many as you want! Based on numbers dancers will learn 2-3-4 or 8- hand dances. If your dancer is interested in competing at local feiseanna or performing, this class is highly recommended. Click here to register! All of our current Level 1-7 Culkin dancers are welcome to sign up for these weekly summer camp programs! based on enrollment the multiple instructors will break the dancers into like groups to refine their style and learn new material. Remember: all champ dancers planning to compete in the Oireachtas need to keep in shape and learn material over the summer so they are competitive ready for the SRO! If you’re interested, click here to register! **PLEASE NOTE: that classes at Glen Echo will be held in the Spanish Ballroom and/or the Spanish Ballroom Annex. The Annex has air-conditioning and the Ballroom has an air filtration system to keep things much cooler than outside temperatures.